Medical marijuana: Why isn’t it included in your benefits plan? 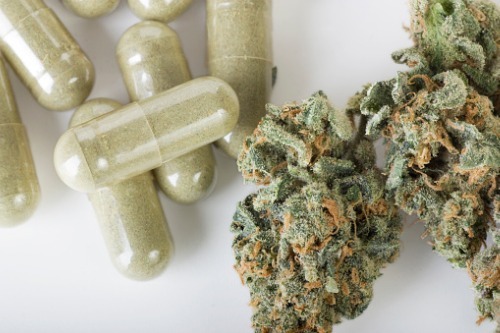 Following the legalization of recreational cannabis, many employers have been asking questions around the advantages of medical cannabis – and questioning whether it deserves a place on organizational group benefits plans. There’s no denying the plethora of literature out there praising cannabis’ medical uses, especially in cases such as multiple sclerosis and nausea from chemotherapy. So, should employers be taking this new trend more seriously? So, what exactly are the benefits of adding medical cannabis to your benefits plans? “For the plan member, cannabis can have medical benefits where usual treatments have failed to be effective,” explained Cristina. “There’s current evidence which supports the use of cannabis for some serious medical conditions, as listed in our product offering. But this is not something that HR leaders should foray into lightly. As a rather divisive topic, it’s essential that employers give the new benefits offering the research and thought it deserves. Ask yourself, does your organization risk a backlash if you choose not to cover medical cannabis? Do you have the communication resources in place to explain the coverage details? “We also like to emphasize, especially since the legalization of recreational cannabis, that you ensure that your codes of business conduct and your HR policies have been updated,” added Cristina. The wider implications of cannabis on the Canadian workplace will be discussed in full at our upcoming HR Leaders Summit in Calgary on December 5th.